We have been releasing white doves since 1989 and know exactly how to create an "Inspirational Experience" for your special event and service! 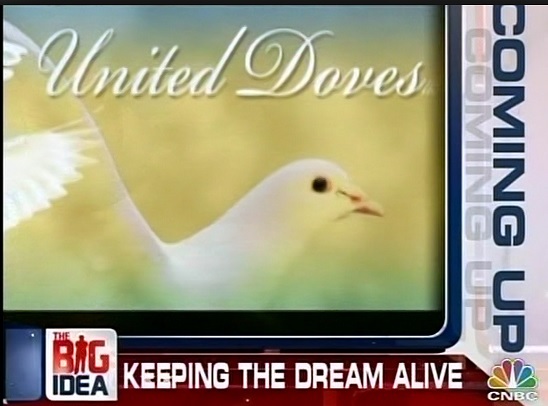 United Doves is a white dove release pioneer. We offer dedicated service, great attention to detail, professionalism, and passion with every single White Dove Release event we perform. We perform white dove releases throughout the State of Utah, and have expanded our reach by offering white dove release franchises so that people nationwide can enjoy the wonder and beauty of a white dove release. We also sell supplies to bird fanciers and operators of dove release businesses, and provide consulting services that enable people to succeed in the wonderful business of white dove releases. 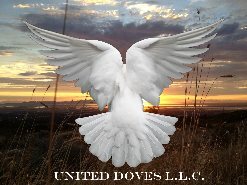 To book a white dove release at any of our locations, please visit our United Doves LLC Franchisee page. And of course, you can always contact us with questions about finding someone to perform a white dove release in your area, joining our franchise, or to request consulting services. 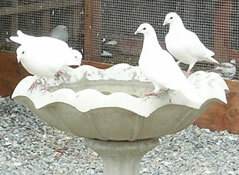 Visit WhiteDoveSales.com, for all your white dove release needs. v WHO: United Doves L.L.C. We are a professional and private White Dove Release Company with several franchised locations across the USA. All locations are privately owned and operated under our guidance we teach to our Franchisees and or Affiliate Partners. v WHAT: We have been releasing Ceremonial White Doves which have flown for Weddings, Funerals, and other special occasions since 1989. We provide Professional White Dove Releases which create “An Inspirational Experience” for our Clients and Customers across the country. 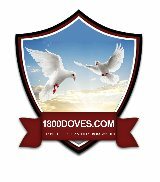 There is tremendous symbolism is releasing doves. v WHEN: In 1989, Daniel Hash (Founder) began releasing his “RARE” (50) White Homing Pigeons flock on a regular basis in Utah for special events as requested. As business grew solely by word of mouth, he soon became the “Go to person” for others interested in getting started in this niche business for releasing White Doves. In the early 90's the ability to ship birds was opened and offered through the USPS. This opened up a huge opportunity for others interested in acquiring our birds for their own release program which allowed us to ship the birds to them. It is a well known fact that a good majority of all the White Dove Release Businesses out there in existence today have had their birds shipped to them, were this not the case, they more than likely would not be in business today. All birds that are released at our various locations are properly trained to fly year around during daylight hours and are guaranteed to fly. v WHERE: Headquartered now outside of Salt Lake City, Utah. We have multiple locations across the country and look forward to opening up many more locations as we move forward to expand the business efforts Nationwide.